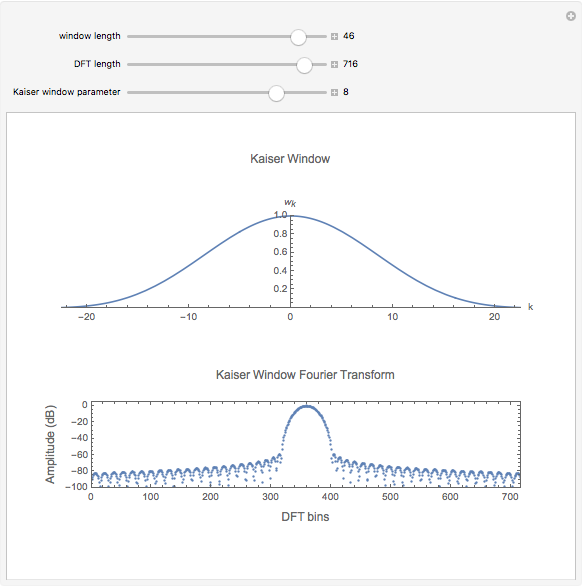 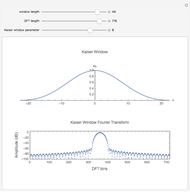 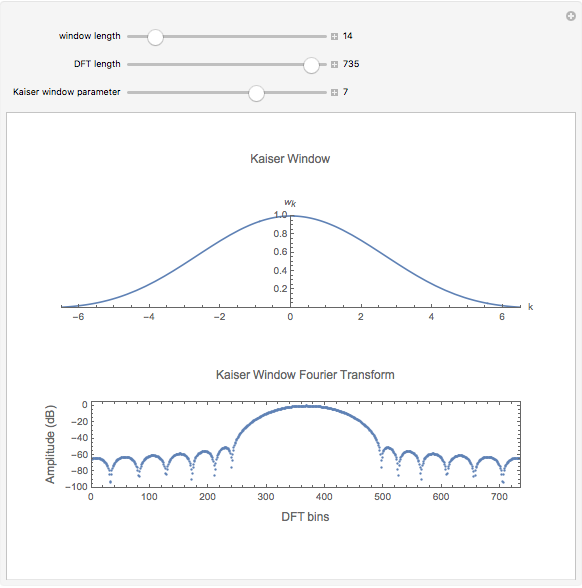 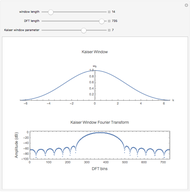 This Demonstration investigates the frequency-domain properties of the Kaiser window, a useful tool in signal processing. 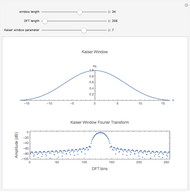 where is the modified Bessel function of the first kind of zero order. 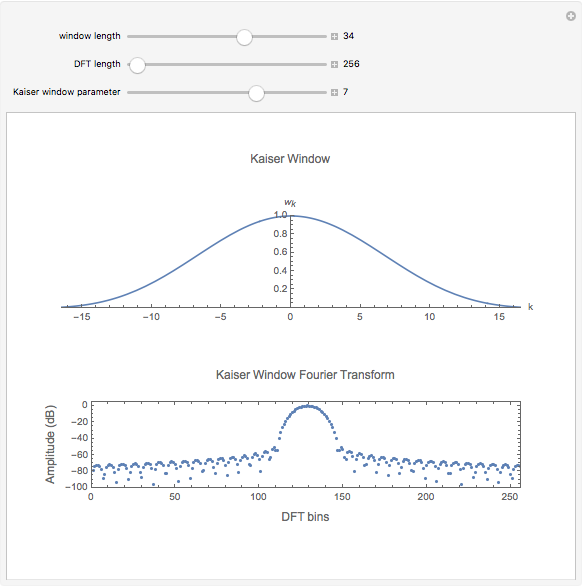 Jeff Bryant "Kaiser Window Transform"